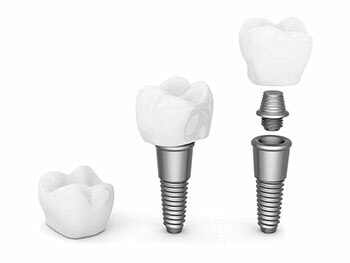 Dental implants are artificial tooth roots that provide a permanent base for fixed, (re)placement teeth. Compatible with dentures, bridges, and crowns, dental implants are a popular and effective long-term solution for people who suffer from missing teeth, failing teeth or chronic dental problems. Because they fit, feel and function like natural teeth, dental implants have quickly become the new standard of care for tooth replacement. What Teeth Can Dental Implants Replace? You can use dental implants to replace a single tooth, multiple teeth or a full upper and/or lower arch of teeth. If you need to restore a full arch, you may be a perfect candidate for the all-on-four treatment. Dr. Powless insists on keeping implants as affordable as possible because he believes in implant treatment for quality lifetime dentistry. Implants increase treatment options and together Dr. Powless and you find the option that best fits your smile and dental goal. Implant supported dentures eliminate the floater problem for the lower arch and increases stability and function of the upper arch. Those who have lost all of their teeth or are soon to have their last, failing teeth removed have several options for tooth replacement. One of the most advanced and reliable techniques are to permanently attach lifelike prosthetic (new replacement) teeth to dental implants that are anchored in the jawbone. Implant-supported teeth allow normal function of the whole stomatognathic system (“stomato” – mouth; “gnathic” – jaws) including the nerves, muscles and jaw joints. By permanently replacing missing teeth and lost gum tissues, implant-supported teeth restore the support of the facial structures (cheeks and lips), thereby creating a more youthful appearance as well as the ability to function normally. This includes chewing tough foods, eating fresh fruits and vegetables, laughing, kissing, speaking confidently and smiling with joy. 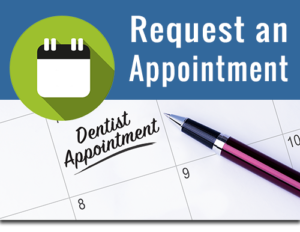 Please complete the form below if you would like additional information on our services or our dental practice. Ⓒ Florida Special Care Dentistry 2016 - 2018. All rights reserved.